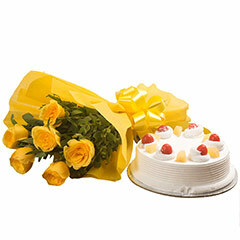 Surprise someone who is very close to your heart with this bunch of sweetness and love from Primo Gifts India. 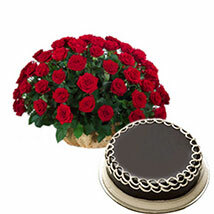 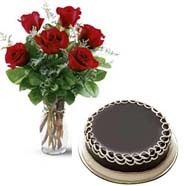 Order this combo of bouquet and chocolates online now. 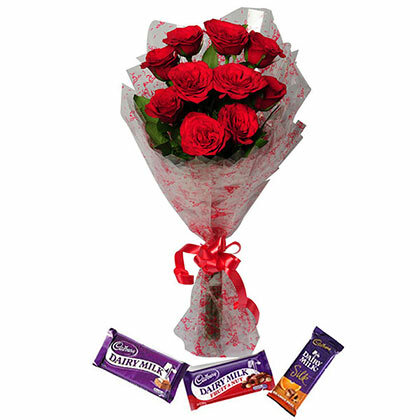 This combo has a bouquet of 12 red roses tied with a ribbon and 3 delicious Cadbury chocolates- one Cadbury Dairy Milk of 38 gm, one Cadbury Fruit & Nut of 42gm, and a Cadbury Silk of 65gm. 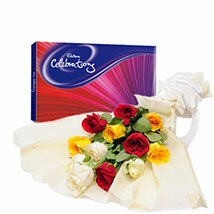 So, order this product now for your special one.